Finkelstein, Maxwell W.. "Mingan Archipelago National Park Reserve". The Canadian Encyclopedia, 25 January 2018, Historica Canada. 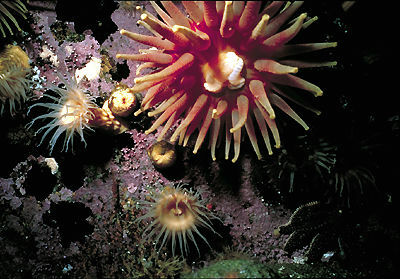 https://www.thecanadianencyclopedia.ca/en/article/mingan-archipelago-national-park-reserve. Accessed 25 April 2019. 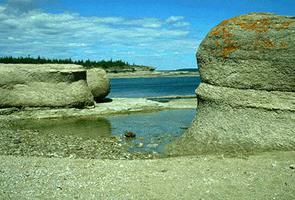 Oddly shaped rock pillars sculpted by wind and sea create the unique islandscape of Mingan Archipelago National Park Reserve (set aside 1984, 150.7 km2). The park will retain its reserve status until the resolution of the comprehensive land claims of the Innu. Oddly shaped rock pillars sculpted by wind and sea create the unique islandscape of Mingan Archipelago National Park Reserve (set aside 1984, 150.7 km2). 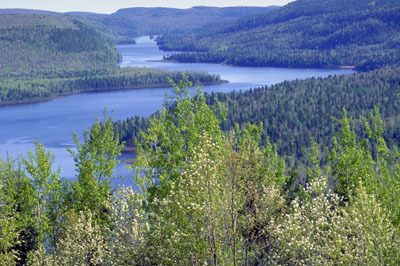 The park will retain its reserve status until the resolution of the comprehensive land claims of the Innu.The park reserve, which consists of some 40 small limestone islands, extends for 155 km between the communities of Longue-Pointe and Aguanish, Qué, along the north shore of the Gulf of St Lawrence. The park can be accessed by Highway 138 or by air to Havre-Saint-Pierre, and then by boat to the islands. Private excursion boats are available to take visitors to the islands. Along the shore are grottoes, flower pots and colonnades, while approximately 3.5 km offshore lie the islands. Atlantic puffin and other seabirds nest on these limestone islands while porpoises, seals and whales feed in the fertile waters offshore. The vegetation on the islands are more typical of more northern latitudes because of the harsh climate. Some plant species are endemic to the islands. The only common land mammal is the snowshoe hare. There are primitive campsites available on some islands in the park. 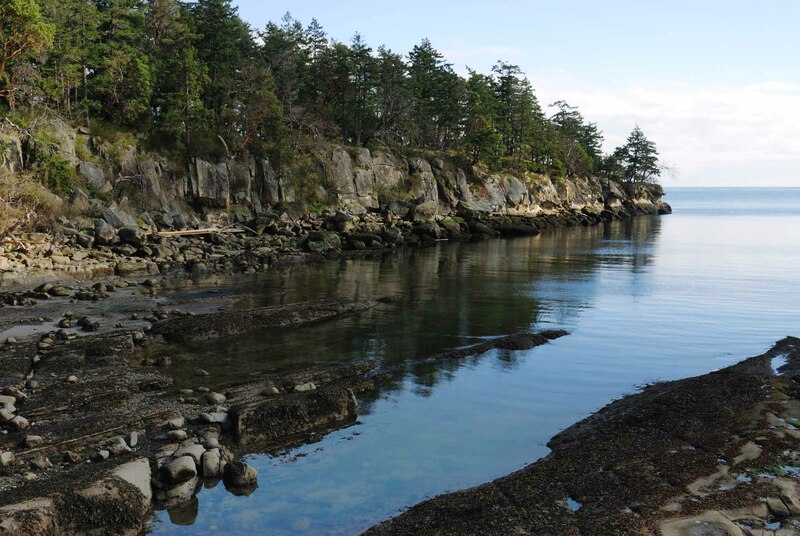 A variety of private accommodations ranging from campsites to hotels are available on the mainland. An interpretive centre is located at Havre-Saint-Pierre. Hiking and bird watching are popular activities on land; bird watching and marine mammal watching tours are available.